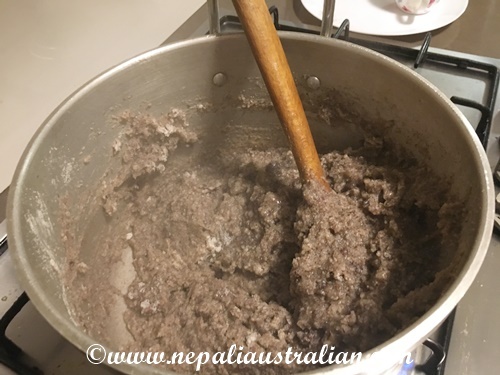 Dhido is a traditional and very popular food in Nepal. 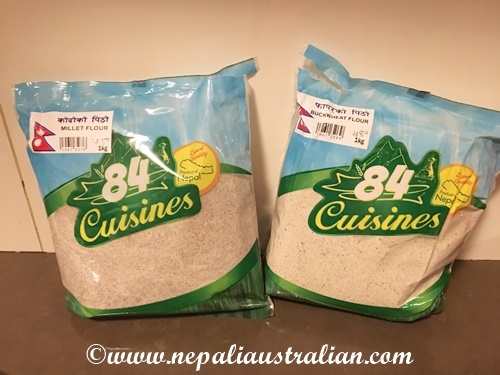 It is an everyday food for many people in rural Nepal. I have eaten dhido only once before and it was made out of maze flour. 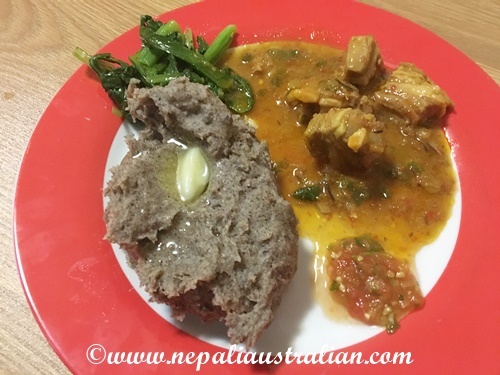 Today I am sharing the recipe of dhido, made of buckwheat flour and millet flour, which I learnt recently from my friend. Generally dhido can contain any grain as long as it is ground into flour. In a large pot, bring water to a boil. 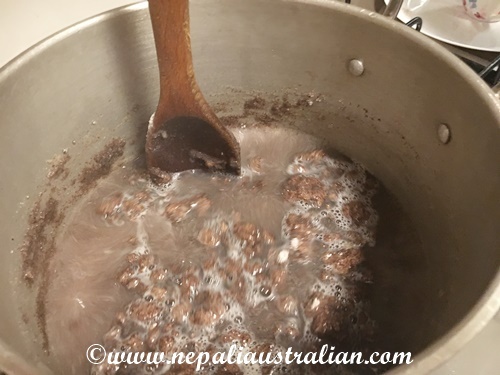 Add 50 gm of millet flour to the water, while stirring continuously. Now add the rest of millet flour and then the buckwheat flour stirring continuously. 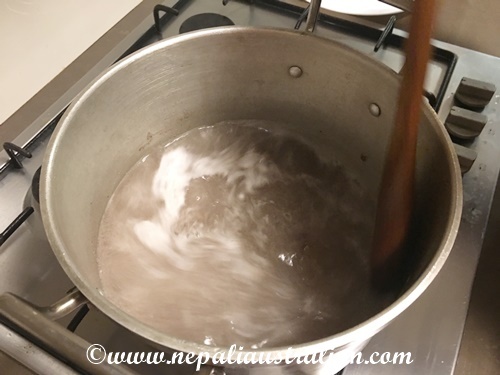 You need to keep stirring the mixture constantly for 7-10 minutes so the dhido is not lumpy. It is a good workout for the arms for sure. It is cooked when color turns to dark brown. Server with your favorite curry or dal with a dash of ghee. Dhindo is eaten by first making a small ball with the fingers, dipping it in the curry or dal and some ghee and then swallowing it. It is not chewed at all. 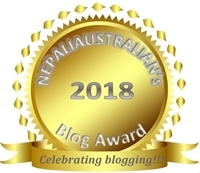 This entry was posted in Foodie, Recipe and tagged australian, australian nepali, buckwheat flour, Dhido, M from nepaliaustralian, Millet flour, momo, Nepal, Nepalese, Nepali, nepali australian, Nepali blog, nepali food, Nepaliaustralian. Bookmark the permalink. Very interesting. Why is it not chewed but only swallowed? It reminds me in color of poi, which is an acquired taste. I happen to love it. Is the ghee flavored? Isn’t it kind of like butter? It is swallowed because it is bit slipper to chew I guess. The ghee is not flavored and yes it is clarified butter.